Linfield goalkeeper Alan Blayney has been named as Ulster Footballer of the Year by the Castlereagh Glentoran Supporters' Club. Blayney pipped Glentoran defender Colin Nixon and Crusaders midfielder Stuart Dallas, who were runners-up. 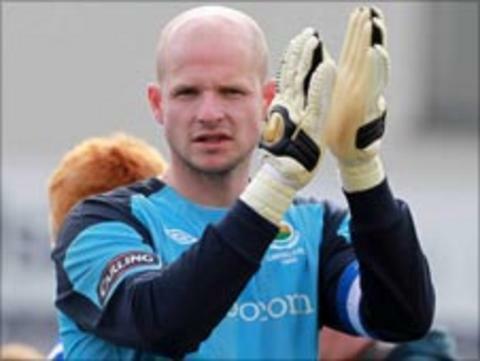 Blayney kept 12 clean sheets in the Blues' first 16 games of the season and ended with a total of 27 clean sheets as he captained Linfield to a fifth league and cup double in six seasons. Rory Patterson won the award last year. Blayney is the 61st winner of the prize, which was first handed out in 1961. He follows a line of top goalkeepers who have won the prize, including Alan Mannus, Mickey Keenan, Kevin McKeown, Alan Paterson and Bobby Carlisle.